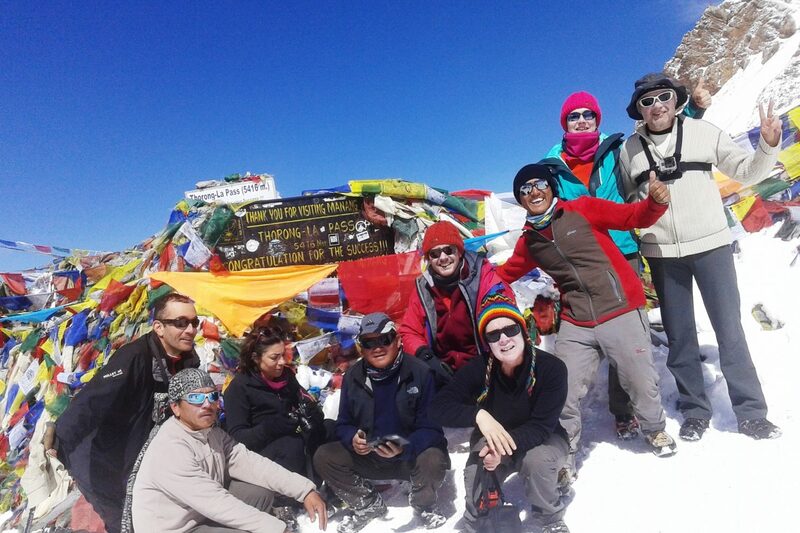 Annapurna Circuit Trek- 15 days is a moderate trek. Travelers who can walk up to 6-7 hours a day on an uphill and downhill trail will find this trek fulfilling. It is best that we prepare ourselves for the Annapurna trek by jogging and exercising regularly at least a month prior to the start of the trek. Trekking to the Everest Base Camp should be relatively easier for those who have experience walking/trekking in a high altitude environment. Past hiking experience would be an asset but no technical skill is required for this trip. It is also important that we consult our doctor. Participants with pre-existing medical conditions such as heart, lung, and blood diseases should inform Discovery Mountai Trek before booking the trek. 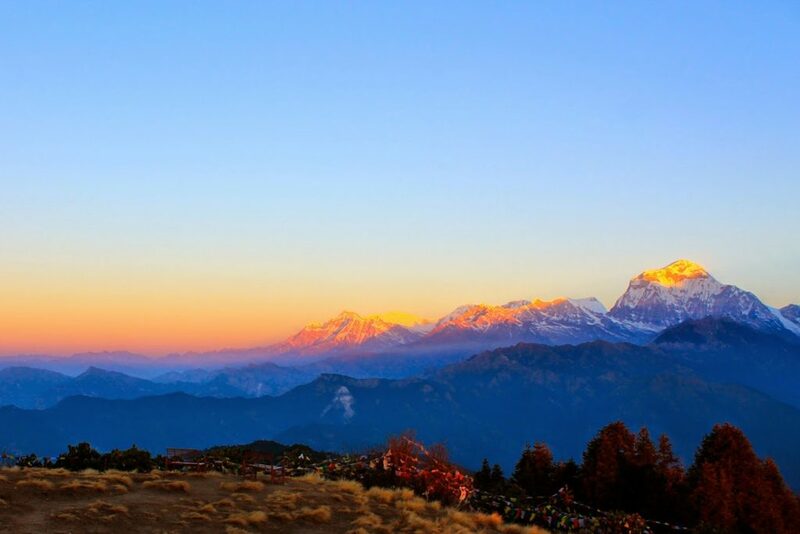 The best time to trek to the Annapurna Circuit Trek is Spring (February to May) and Autumn (September to November). The temperature is moderate in these seasons and guarantees amazing views through the trip. Although this trek can be undertaken during winter, the cold temperature might not be suitable for everyone. This trek from Discovery Mountain takes you on a circuit-navigation of the Annapurna massif in central Nepal. 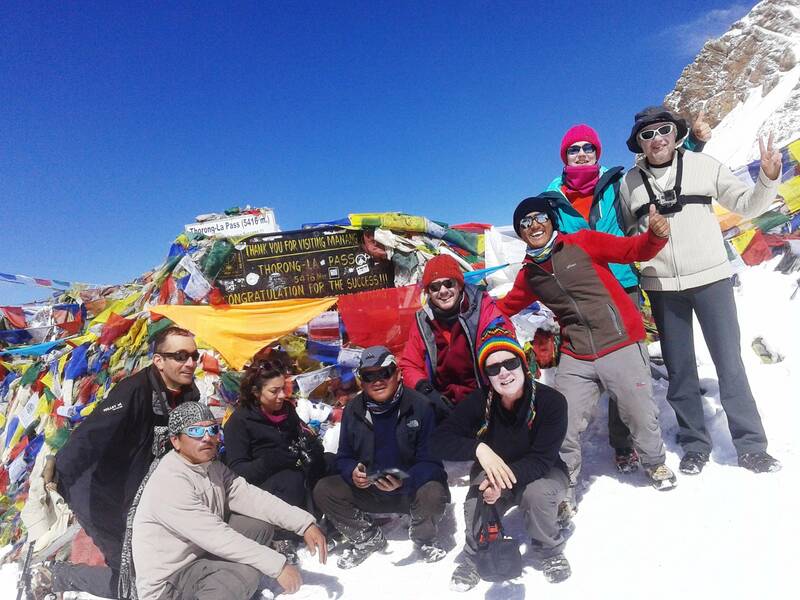 In this trek we will cross Thorong-La Pass at 5,416 meters, one of the highest mountain passes in the world. We will also come close to the world’s deepest gorge – the Kali-Gandaki Gorge. 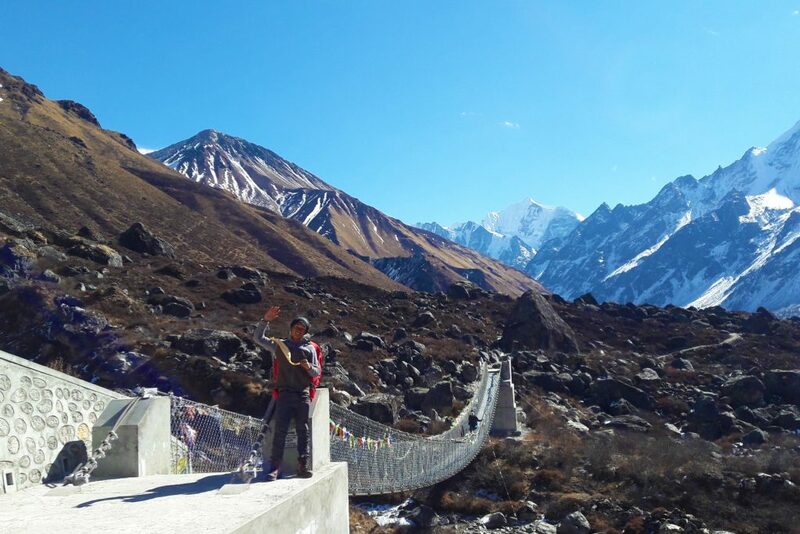 We will enjoy the desert-like landscape of the Manang Valley, visit the temple of Muktinath, and walk along ever-changing landscapes of the Annapurna region. The diversity and richness of the Annapurna Region is quite exciting. Culturally and naturally, this region garners international attention every year as one of the best places to trek in the world. Culturally speaking, there are are the ethnic Gurung, Magar, and Thakali people with traditions of their own but share the village with people of not just other casts but of other ethnicity too! So it’s like a mosaic of people – one household is significantly different from the other household in terms of food, lifestyle and even the dialect. Along the route you will see Buddhist mani walls and chortens hemmed with depictions of Hindu gods and goddesses – rarely in the world do you find such a harmony! On the natural side of things, this trek is at par with similar other treks in Nepal. While the trails are mostly uphill and downhill, it’s the turns and passes that make things interesting – you never know which peak the next right-turn might bring into view! You will come across natural hot spring, waterfalls, frozen lakes, alpine forests, and indeed a high-mountain pass in this Himalayan journey. Spread over several topographical and climatic zones, this region is the natural habit of a number of flora and fauna not found elsewhere in Nepal. The Annapurna Conservation Area protects the rich biodiversity including its numerous flora and fauna. 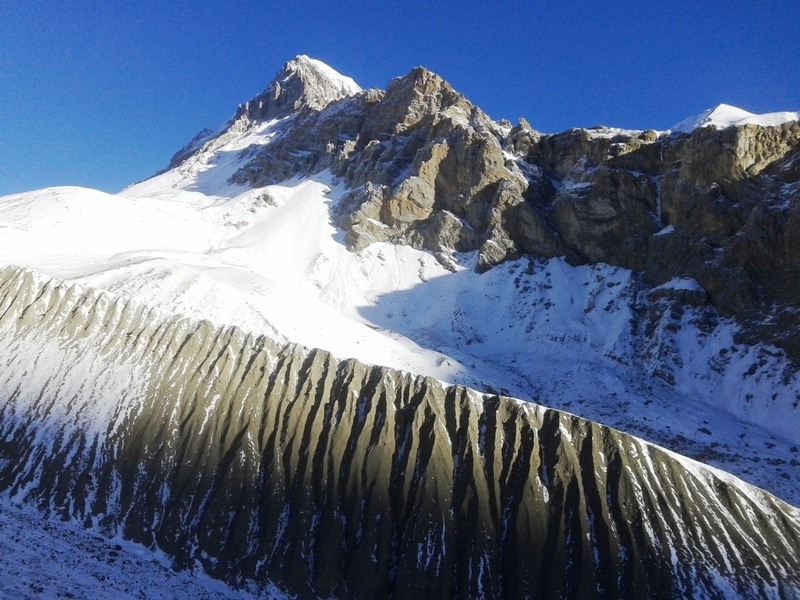 The best time to tour the Annapurna Circuit is in autumn and the second best time is in spring. Discovery Mountain highly recommends this trip for people of all age groups and all fitness levels. Start early as we will be trekking around six to seven hours in high altitude today. We will be heading towards the beautiful and unspoiled Manang Valley at an altitude of 3,550 meters. Leaving behind Pisang, we will pass through Upper Pisang with splendid views of Mt. Annapurna and other peaks in the range. 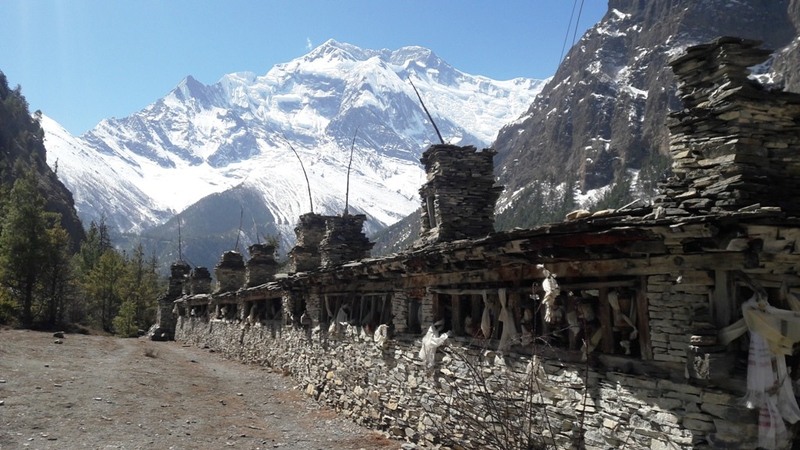 Take some stops along the way and gradually arrive at the Valley of Manang for the night stay. Today we take a day of rest for the purpose of acclimatization and let our bodies adapt to the altitude. On this day, we take short hikes around, so that we can have excellent views of the mountains ahead. 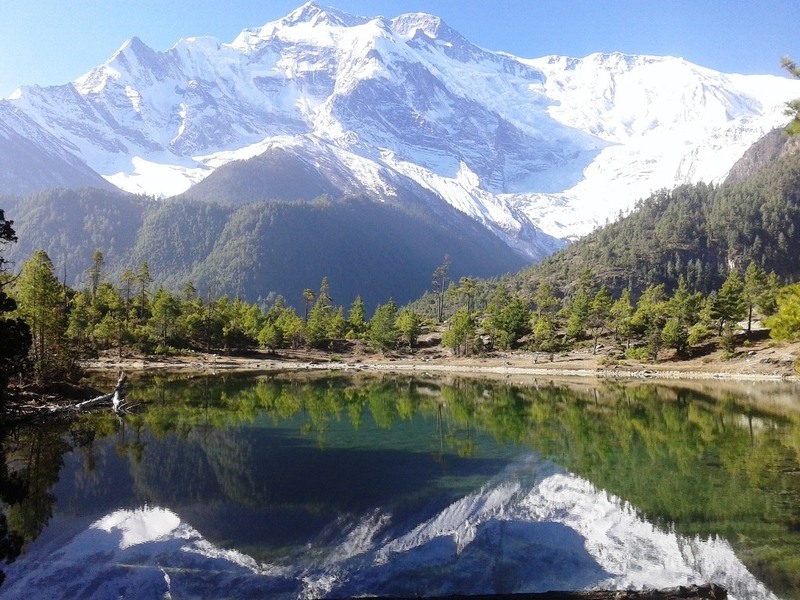 Discovery Mountain recommends that you hike to the lake of Gangapurna for excellent views of a glacial lake. Leaving behind the pilgrimage site of Muktinath, we head towards Kagbeni immediately after breakfast. Further, the windy village of Jomsom past Kagbeni, used to be a trading town when business was flourishing between Tibet and Nepal in the middle ages. Today, it is a quiet village at the foot of the mountains. Once here, you can visit the Ecological Museum frequented by trekkers. Enjoy your stay at Jomsom tonight in the vicinity of the mountains before heading back to Pokhara tomorrow. I began the trek from Jagat with my guide Lakpa and I found the lodges and teahouses quite luxurious compared to my experience of trekking in my home country of New Zealand where camping or very basic huts are the norm. But after a day of trekking (4-5 hours so as not to ascend too quickly) I was very happy to have a shower, bed and home cooked meal (dal bhat!). The views, type of terrain and wildlife varies greatly over the trek. The 1st few days we followed the river up the valley surrounded by green vegetation, waterfalls, farms, wild strawberries, ponies, goats, butterflies and the occasional monkey. As the altitude increased the vegetation reduced to low scrub and then disappeared altogether, but by then there were views of the beautiful snowy peaks! The best views of the mountain ranges were from Manang (3500m) where we stopped for 2 nights to acclimatise (I recommend this). A little way up the hill is a tiny monastery Praken Gompa where only one monk lives. It is worth a visit and also gives some more amazing views of the mountains and the glacier (and lake) on the opposite side of the valley. Thanks to Ang Chhiri and his team.